We're experts at two things...Water Filtration and Air Purification. 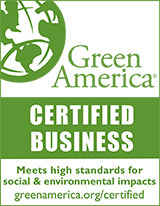 Authorized Dealers for the top-rated, industry leading brands. Made in the USA is very important to us. We help keep our jobs here. 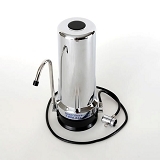 We source as many of our Water Filters and Air Purifiers in the USA as we can. 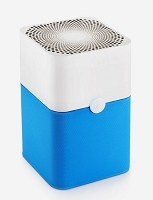 HEPA Air Purifiers to remove allergens such as pollen, pet dander, tobacco smoke, mold spores and more from your indoor air. 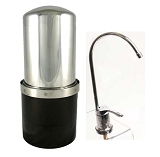 We offer only the finest water filters, many of which are ANSI/NSF Tested and Certified. Also we offer reverse osmosis systems, whole house water filters, HEPA air purifiers, refrigerator water filters and air conditioning/furnace filters...all personally tested and approved by our knowledgeable staff. We've narrowed our selections to include only the top-rated brands in the marketplace. We do our due diligence. so you don't have to...after all our name is BestFilters. 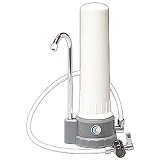 Questions about water filtration or air purification send an email to sales@bestfilters.com. 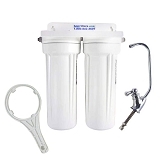 We offer the high-performance, ANSI/NSF tested and California certified CB Tech Water Filters Water Filters, the top-rated water filter by Consumer Reports. 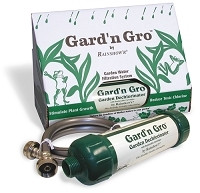 These quality filter systems are Made in the USA and ANSI/NSF tested and certified for Standards 42 & 53 to remove Chlorine, Chloramine, VOC's, PCBs, Lindane, Silvex, MTBE Chloroform, 2,4-D, Lead and other heavy metals, Giardia, Cryptosporidium and Pesticides, Fertilizers, Xylenes and many more unpronounceable organic compounds. 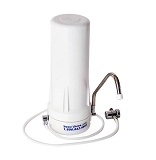 Some models of CB Tech water filters will also even filter out Arsenic. 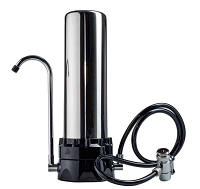 And for the most difficult water treatment situations, we also offer Reverse Osmosis Systems that remove the broadest spectrum of contaminants. And don't forget NSF Standard 177 Certified Shower Filters, available in both hand held and shower head shower filters by Sprite and Rainshow'r. Safe, clean drinking water is one of the most important health concerns for families. Even in the United States, it is possible to get municipal drinking water that still has contaminants and the current direction of the EPA isn't helping and even though the water may technically meet the minimum safety requirements of the federal government, many contaminants are never tested for. 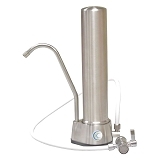 At BestFilters.com, customers will find the water filters that they need to ensure they have safe and clean water. Drinking water can be contaminated from a number of sources and with our water infrastructure problems, the water that leaves the water treatment facility may not be the same water at your tap. Ask the folks in Flint MI. Chemical pesticides and other ground water pollutants can seep into the municipal water supply and find their way into the homes of residents. Over time, this can lead to serious health problems and lower the quality of life. 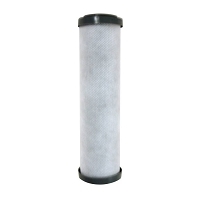 The water filters at BestFilters.com keep most of these contaminants away from homeowners. 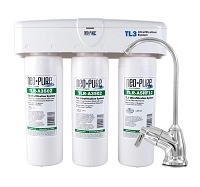 We offer water filters as both under sink water filters and counter top water filters by CB Tech, rated #1 by Consumer Reports and all CB Tech water filters are Made in the USA. Our selection of the finest HEPA air purifiers by IQAir HealthPro and HealthPro Plus air purifiers, AustinAir HealthMate air cleaners and Blueair air purifiers are the top-rated by Consumers Digest and the Association of Home Appliance Manufacturers (AHAM). Add a necessity for your shower and have healthy hair and skin. 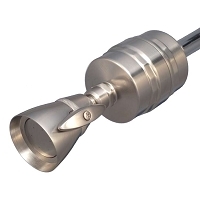 We carry shower filters in both hand held and shower head styles and all NSF Certified to reduce chlorine, chlorine compounds, odors, sediment and more from your shower. We offer Furnace and HVAC Filters in thicknesses of 1", 2" and 4" in every size to fit your needs. 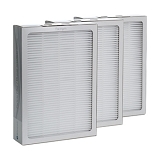 Equivalent to 3M Filtrete and Honeywell, these furnace filters are also available with an additional gas and odor removing carbon filter layer. Our refrigerator water filters are as good or better than Original Equipment at a fraction of the cost. 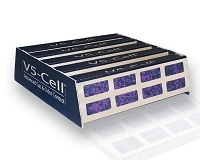 Most products ship the same day if ordered before 3:00PM Central. Normal hours are 9-4 Central, M-F. Free Shipping on All Orders over $60.00 in the Continental U.S. (Alaska and Hawaii additional charge). BestFilters.com customers can count on our technical experts to guide you through the purchasing process. This will help you find the best water filters, fridge filters, air purifiers or furnace filters for your home. Because our associates are technical experts, and not salespeople, customers will never be pressured to purchase any of our products. If a customer receives our products and is unhappy for any reason, the item may be returned to Bestfilters or the manufacturer for a refund, if returned within 30 days, occasionally re-stocking fees may apply. This "no hassle" return policy gives customers peace of mind, knowing that the products they purchase will be the best solution for their homes. 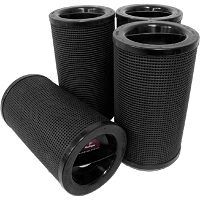 We've recently contracted with a Major Manufacturer of Furnace filters to sell their air filters at a deep discount. Our Furnace filters are manufactured of an anti-microbial, synthetic pleated material to keep your indoor air quality healthy and allergen free. 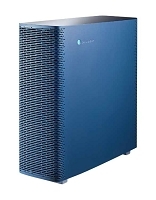 Choose from our selection of AHAM certified HEPA air purifiers made by BlueAir air purifiers, IQAir air purifiers, and AustinAir air purifiers. 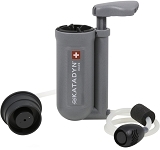 We are an Authorized Dealer for all our product lines and carry replacement filters for the products we sell. 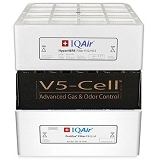 All IQAir Replacement Filters, BlueAir Replacement Filters, Coway Replacement Filters as well as, Austin Air Replacement Filters are genuine original equipment products. 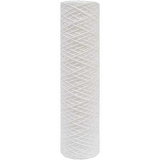 Also, we offer a selection of Friedrich Replacement Filters and Honeywell Replacement Filters. Security is always a major concern when purchasing on the Internet and we want to assure you that your Credit Card information is securely transmitted over the highest levels of 256-bit SSL encryption and your information is never stored on our servers. Once you click "buy", we only ever see: xxxx-xxxx-xxxx-1234. No Credit Card or ID theft is possible. As always, we stand behind all of your purchases with our simple, "No-Hassle" 30 Day Money Back Guarantee! Every IQAir Air Purifier carries a full 60 Day Money-Back Guarantee. We've been a trusted on-line store since 1999 and we consistently earn the highest customer service ratings from our customers. Please Live Chat or Call us during business hours 8AM to 3PM Central, Monday to Friday or leave us a message and we'll get back to you quickly as possible. We're proud to say most of our products are Made in the USA.